What’s next for satellite-based Earth Observation? Driven by technology and competition, the business has grown quickly in recent years. From imagery to insights, from single satellites to constellations, players along the value chain have pushed hard to offer unique services, and the market has diversified and expanded. In an industry dominated by optical and radar imaging satellites, it is not surprising to see diversification into non-imagery assets, such as the recent announcements from Spire, GeoOptics, and GHGsat. Radio occultation, greenhouse gas monitoring, infrared, the market is expanding, looking for new ways to monitor human activity and the changing world. 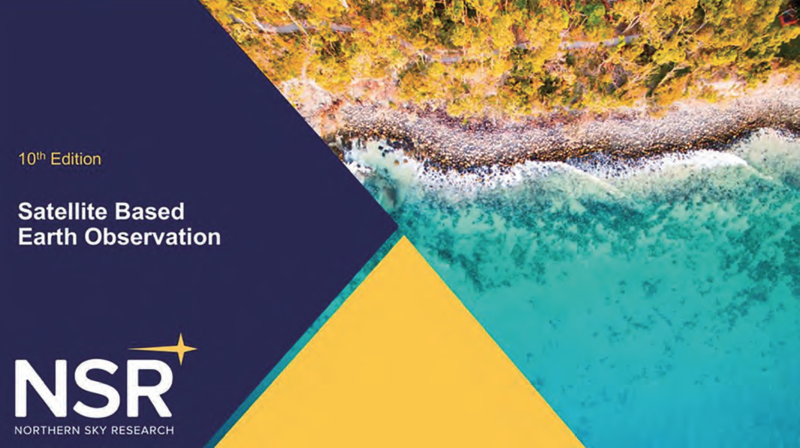 NSR’s Satellite-Based Earth Observation, 10th Edition report forecasts the revenue opportunity from non-imagery data to grow to almost $255M by 2027, at a CAGR of 45.7%. Early investment from Public Authorities, Weather, and Energy customers is expected to drive the market, until supply and data pipelines are matured, when Services and Industrial verticals especially will show more interest. Currently, the revenue opportunity focuses almost entirely on contracts for the provision of atmospheric data. Similar to the development of revisit-driven EO imagery, government agencies are among the first to invest in novel systems, curious as to the quality, reliability, and value of these emerging datasets. 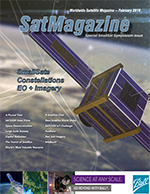 Along with the typical challenges associated with satellite manufacturing and launch, data suppliers will face the obstacle of proving and educating the market as to the value of their data, versus traditional and/or freely-available datasets. Once supply pipelines are more established, NSR expects product and customer diversification. First, through monitoring services, similar to imagery subscriptions, and eventually to downstream Information Products and Big Data analytics. As such, NSR forecasts the opportunity to shift in the favor of these downstream services, from 5% of total non-imagery EO revenues coming from IP and Big Data analytics in 2017 to 74 percent by 2027. The market is expected to shift quickly, driven not only by overall growth of demand for insights, but also due to the inherently lower value of non-imagery data. Despite the overall market transition away from pixels, a satellite image is still commercially valuable on its own, an argument not easily made for millions of data points pertaining to atmospheric composition. Similarly, the opportunity for these emerging datasets will be restrained, amounting to only 4% of total EO revenues by 2027. Optical and radar imagery markets are more developed, with established value chains, customers, and solutions, with investment expected to grow. Furthermore, non-imagery data, while useful, will likely be considered an “add-on”, a dataset complementing the intelligence derived from imagery. Niche solutions, such as methane detection from space, may experience strong take-up, but competition, freely-available datasets, and alternative solutions have limited such market opportunities in the past. Going forward, imagery will not be the sole supply of satellite-based Earth Observation. Players aiming to offer unique value are developing platforms for infrared, radio occultation, microwave, and greenhouse gas monitoring. 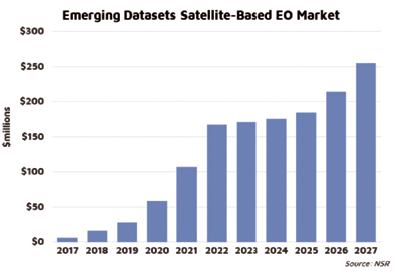 While these emerging datasets will expand the market, it is likely that these players will operate and compete primarily in the traditional EO value chain. As such, players and investors in this space have an opportunity to learn from the mistakes of the past, seeking solid customer relationships, and developing reliable data pipelines and solutions, rather than giving in to the exaggerated interest inherent with new technologies.